Wilson was confirmed to be returning to The Walking Dead during the New York Comic Con panel being held at Madison Square Garden. The details of the actors passing have not yet been revealed. The actor had been active on the comic con circuit around the country throughout the year, having retired the role of Hershel Greene on AMC’s popular zombie show in its fourth season. 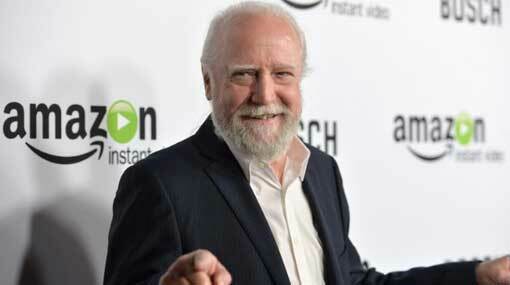 Wilson reprised the role of Hershel Greene in voice form for The Walking Dead’s Robot Chicken special. His other recent roles include Hostiles, The OA, Damien, and Bosch. The 76-year-old actor’s resume extends across dozens of impressive roles, with the first coming in 1967’s In the Heat of the Night. He has, however, long been known for his 1980 role in The Ninth Configuration. Wilson was slated to appear at Walker Stalker Con in Atlanta in late October, an event which brings together much of the The Walking Dead’s former and present cast members. Longtime The Walking Dead casting director Sharon Bialy paid tribute to Wilson by saying the star “gave Hershel heart & integrity,” thanking longtime executive producer Gale Anne Hurd and pointing to his role in 1967 crime drama In Cold Blood. Jane McNeill, the actress behind Season Two’s short-lived Greene farm resident Patricia, shared a picture of herself hugging her “dear friend” Wilson, writing she “loved and admired” him. Madison Lintz, who played Sophia Peletier in the series’ earliest seasons, wrote she “couldn’t say enough about how gracious and kind” Wilson was and that she was “blessed” to have starred alongside him on both The Walking Dead and Bosch. Jesus actor Tom Payne called Wilson an “absolute legend” on Twitter. The social media site also saw a tribute penned by Payne’s co-star Khary Payton, who remembered Wilson for welcoming him into The Walking Dead Family. “He said I had a responsibility to take care of it. I have tried very hard to do that, sir,” the King Ezekiel star wrote, promising to continue. News of Wilson’s death broke just an hour after showrunner Angela Kang announced at New York Comic Con Wilson and Sonequa Martin-Green, who played Sasha across multiple seasons, will reappear in Season Nine as the show bids farewell to exiting Rick Grimes actor Andrew Lincoln. The Walking Dead Season Nine airs Sundays at 9/8c on AMC starting October 7.